Tough times have tried their hardest, but Dinesh Palipana is well and truly proving: ‘Nothing is impossible’. Thirty three year old Dr Dinesh Palipana, has a law degree, and is working as a Resident in Internal Medicine. 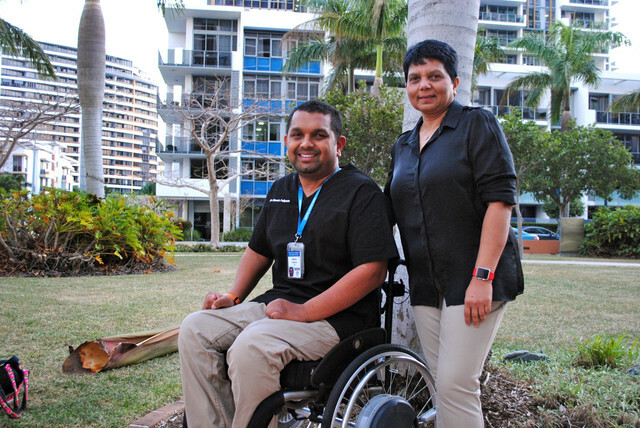 He is also the first quadriplegic doctor in Queensland, and the second in all of Australia..
“This is what I love – I’m doing something I enjoy and that’s not a bad way to spend your days,” Dr Palipana said. Born in Kandy, Sri Lanka, Palipana had a more challenging childhood than most, which he reflects on as one of the happier times of his life. Dr Palipana and his parents migrated to Australia in 1994, when he was just 10 years old. Straight out of high school, Palipana enrolled in Law School at the Queensland University of Technology (QUT), thinking he was on the right track. “I didn’t know why it just seemed like a good thing to do, but then I went through serious depression and anxiety,” he said. 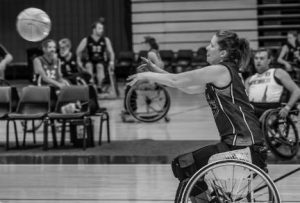 “It was such a dark period of my life, almost comparable to my injury. 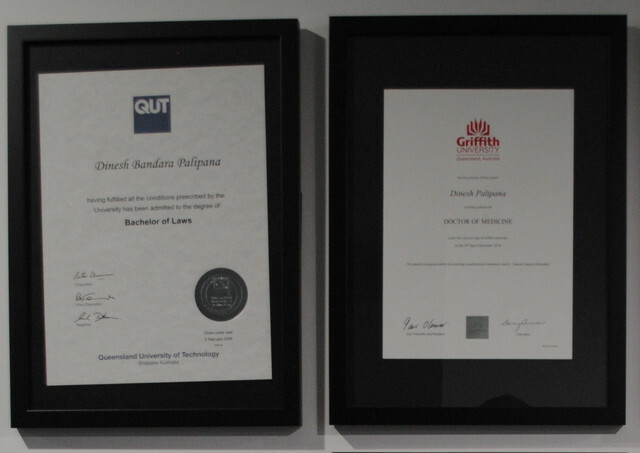 Dr Palipana graduated Law School at the Queensland University of Technology in 2007 despite his mental health battle, before launching into studying medicine at Griffith University in 2008. 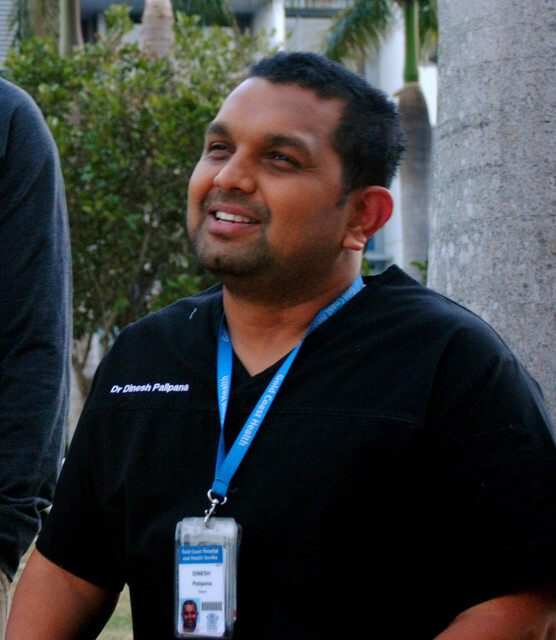 In 2010, three years into his medical degree, Dr Palipana met his biggest challenge yet. “I was driving along on a wet road, and my car aquaplaned. It slipped and slid everywhere, and started rolling, front to back. I just thought there’s nothing I can do anymore,” Dr Palipana explained. Dr Palipana had completely lost feeling and the use of his limbs, except his forearms and wrists. He spent 7 months in hospital, with various follow up visits. The accident and his rehabilitation was ultimately responsible for the breakup of his family, with the relocation of him and his Mother, Chithrani, back to Sri Lanka. “We were really struggling after the accident, and things are cheaper there. I also wanted to get away and hide there. It was only meant to be a couple of weeks,” Dr Palipana said. Their move back to Sri Lanka proved to be yet another untimely challenge. The two lost the support of their family; at a time they needed them most. “It’s amazing, when you get down to your lowest point, the people that stick around are the people who really care about you, it just didn’t happen to be my family, except Mum,” he said. His mother Chitrani reflects on that as a dark time in their life. “It was a time when we only had each other. I think it made us stronger, and it gave us a different perspective of life.” Chithrani said. Five years of recovery and rehabilitation later, Dr Palipana’s unfinished degree and his persistent mentor, Professor Harry McConnell, were nagging at him to return to Australia. “We were nervous, it was like starting all over again. But he always wanted to finish his degree, that was his aim and his passion,” Chithrani explained. 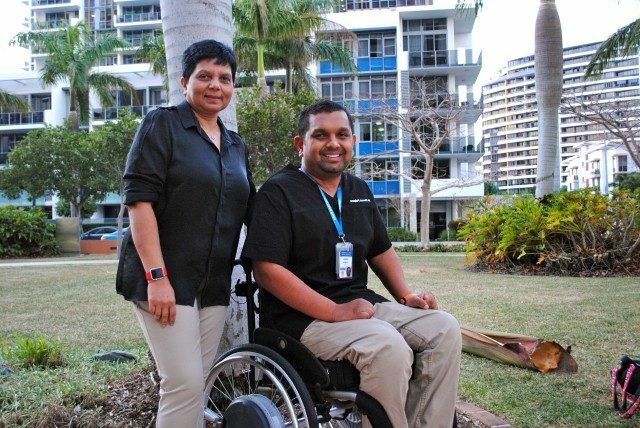 Prof McConnell was able to help Dr Palipana secure a disability package and financial resources, so he returned to Australia and persisted, graduating from medical school in 2016. In addition to those major challenges, Dr Palipana has faced employment set-backs. But he has found lessons in everything he has undertaken. “I sometimes think that if I could go back in time and change things, would I? But in the past few years after the accident, I’ve experienced so many things that I feel have made me a better person and rich in experience and I don’t know if I would trade that,” Dr Palipana said. Dr Palipana’s life has seen challenge after challenge. Instead of giving up, each time he fights harder, comes back a little bit stronger, inspiring perseverance and determination in those around him. “There’s no magic to get what you want. You just have to toil at it, every single day. Sink into it, and nothing is impossible.” – Dinesh Palipana. * Note following corrections made to this article. 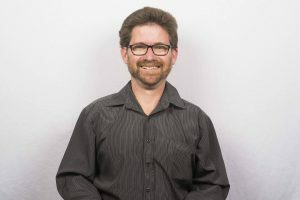 Dr Palipana is 33 not 34; and a Resident, not a Specialist, and the article should have identified Professor McConnell, not Mr. McConnell.